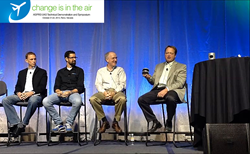 In a high-flying debut, Velodyne LiDAR unveiled its new LiDAR Puck to the UAV market at the ASPRS UAS/UAV Mapping Forum 2014 in Reno (http://uasreno.org), October 21-22 –- and teamed up with leading players to put new implementations on the map. Velodyne showcased the Velodyne LiDAR Puck live for the first time before the UAV audience -- some 530 attendees and 50 exhibitors, from UAV manufacturers, to flight controllers, payload options specialists, processing software professionals and academics. The event was organized by the American Society for Photogrammetry and Remote Sensing (ASPRS), the Imaging and Geospatial Information Society -- a scientific non-profit association with a mission to advance knowledge and improve understanding of mapping sciences, to promote the responsible applications of photogrammetry, remote sensing, geographic information systems (GIS), and supporting technologies. The Velodyne LiDAR Puck, dubbed VLP-16, is expected to dramatically expand the use of 3D LiDAR (Light Detection and Ranging) technology sensors in robotics, unmanned aerial vehicles and factory automation applications. The new 16-channel, real-time LiDAR sensor is substantially smaller than anything else on the market and – with an introductory price of $7,999 -- establishes a new standard for affordability. Sharing the Velodyne booth at UAS Mapping 2014 was XactMaps.com with its custom UAV, which can carry a payload of up to 50 pounds. 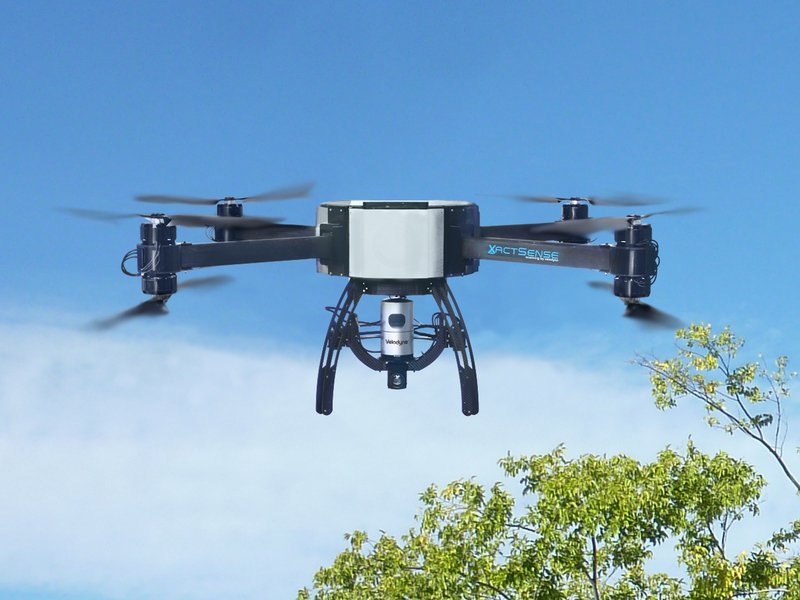 For the event, XactMaps equipped its UAV with Velodyne’s HDL-32E 3D real-time LiDAR scanner, FLIR thermal camera, and Vision Camera with 36x optical zoom. The UAV has a flight time of about 30 minutes; data is recorded on board and transmitted wirelessly to a ground-based computer, to visualize the LiDAR data using advanced SLAM algorithms that do not require costly, and heavy, GPS/IMU equipment. In a neighboring booth, Phoenix Aerial Systems displayed Velodyne’s HDL-32E lightweight LiDAR sensor on its AL2 system, which includes GPS/IMU, data management, wireless transmission in a compact “black” box with the HDL-32E sensor mounted to it. 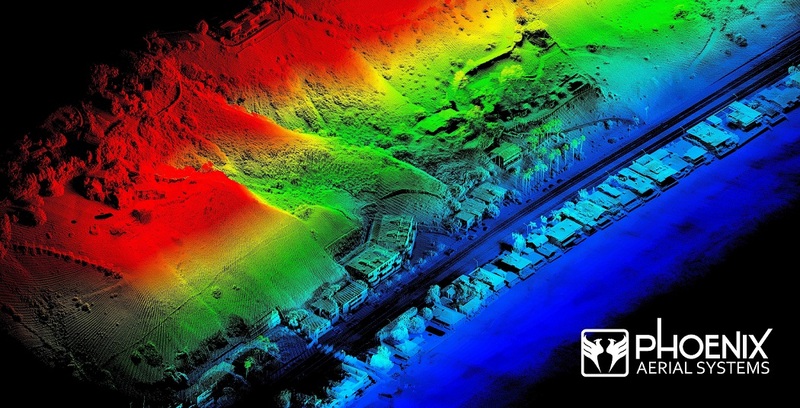 Recent data collection from Phoenix Aerial resulted in stunning 3D point clouds from Malibu, Calif. Phoenix Aerial also previewed “Scout,” its newest platform, which will use Velodyne’s LiDAR Puck. Extremely light and compact, Scout is expected to be offered for $55,000, not including the UAV. With size, weight and price top-of-mind for attendees attuned to matters of UAV payloads, Wolfgang Juchmann, Velodyne’s Director of Sales & Marketing, addressed all three in one pass, pulling an HDL-32E sensor out of his jacket and the LIDAR Puck out of his pants pocket during a panel discussion of sensor experts. Founded in 1983 and based in California’s Silicon Valley, Velodyne Acoustics, Inc. is a diversified technology company known worldwide for its high-performance audio equipment and real-time LiDAR sensors. The company’s LiDAR division evolved after founder and inventor David Hall competed in the 2004-05 DARPA Grand Challenge using stereovision technology. Based on his experience during this challenge, Hall recognized the limitations of stereovision and developed the HDL64 high-resolution LiDAR sensor. More recently, Velodyne has released its smaller, lightweight HDL 32E sensor, available for many applications including UAVs. Since 2007, Velodyne’s LiDAR division has emerged as a leading developer, manufacturer and supplier of real-time LiDAR sensor technology used in a variety of commercial applications including autonomous vehicles, vehicle safety systems, 3D mobile mapping, 3D aerial mapping and security. For more information, visit http://www.velodynelidar.com. For the latest information on new products and to receive Velodyne’s newsletter, register here.